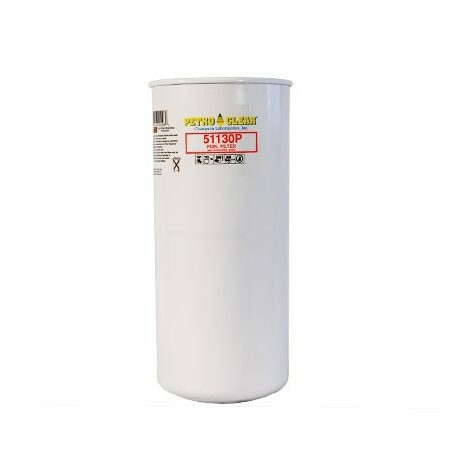 The PetroClear 51130P is a 30 micron particulate removing spin-on fuel filter for use on high- flow fuel dispenser. It delivers up to 40 GPM (151 LPM). 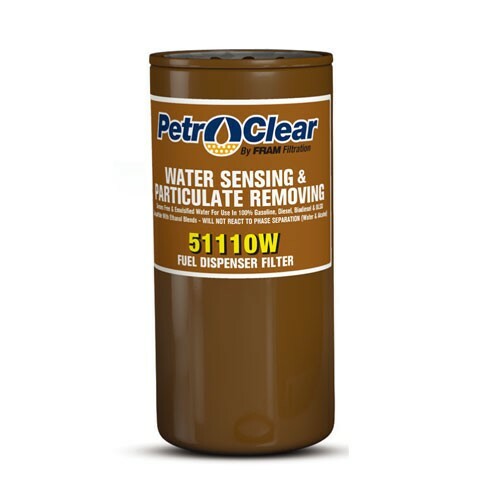 The PetroClear 51130W is a 30 micron water sensing and particulate removing spin-on fuel filter. It delivers up to 40 GPM (151 LPM). The PetroClear 51110W is a 10 micron water sensing and particulate removing spin-on fuel filter for high flow fuel dispensers. It delivers up to 40 GPM (151 LPM).